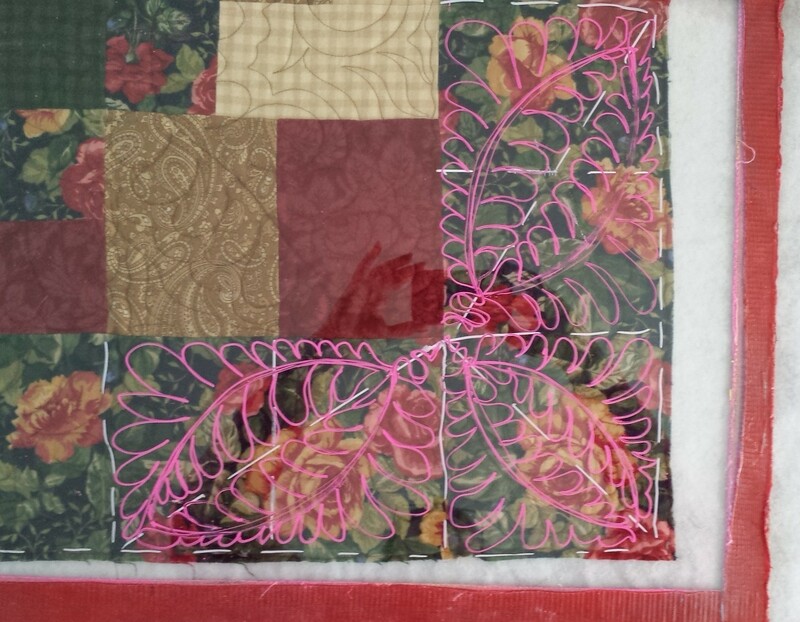 Early November is a “strange” time for professional machine quilters. Many quilters are up to their ears with customer quilts and customer Christmas quilts and are working nearly all the time to get these quilts finished on time. Other quilters may have big “spaces” in their schedule and could use some extra work to pay their bills or to use for their own holiday celebrations. If you are a busy quilter, good for you and You Go Girl (or Guy)!!! If you are the quilter who could use a few more quilts to finsh before the end of the year, I have an idea for you. Now, write-up a note reminding them that Christmas and the Winter Holidays are coming up, time is getting short and if they want quilting done for the Holidays, they need to contact you as soon as possible so you can get their quilting done in time. (Don’t worry about what to write, I have an example you can use a little later in this post.) To make this offer irresistible to your customer, include that they can have a FREE BATTING if they bring their quilt before a certain date. Trust me, Free Batting get the attention of your customer – which is what you want! Print out these notes (I use Publisher, which is already on my computer) on card stock paper (card stock is slightly heavier than regular computer paper), put your customer’s address on it, stamp it and put it in the regular mail. Wait the day or two it takes to have the Post Office deliver these notes, and you should have a few more quilts to complete! Here is a pdf of the note that I created for my business November Customer Note Feel free to adapt it and use it in your business. Here are the details about this note – There are two notes printed per page, landscape page layout. I cut it in half and then folded it in half with the address on the outside and taped the short edges together. I created labels with my customer’s addresses (using the Mail Merge function in Word from the addresses in my data base), then put these notes in the mail. I put my note cards in the mail last week. The results – I have already had a few customers call and they will be dropping off their quilts in the next few days! Let me know your thoughts and if you use this idea, please let us know your results. I belong to several online business related websites. The one site I really like is TheNewsletterGuru.com. From this site I have found many business “tidbits” that relate to my quilting business. This site has a REALLY good , free e-newsletter which I highly recommend. Along with the e-newsletter, there is a new business related video that is posted twice a month or so. The video that was recently posted was about raising your prices. This video is for all sorts of businesses (it is not quilting specific) but much of what is said in the video TOTALLY relates to what we do, and who we are, as professional machine quilters. Let me know your thoughts about what is being presented in the video.